I plan to hire her often–maybe just for brainstorming. I wanted you to know I got booked today to be on Harry! They loved my pitch! We’re shooting August 31st, which happens to be my birthday. This is my first national TV appearance, being filmed on my birthday…what an awesome gift! Thank you so much for all of your help with my media sheets! I’m so grateful. I have been using my beautiful one-sheet that you helped me create and I just completed a 3 month PR series (PAID) and also picked up 3 new clients from the speaking engagements, resulting in over $25k for the next 6 months. I’ve had two great sessions with Tamra Richardt in the last week and she is helping me so much! She’s really good at this one sheet stuff and I’m just so grateful. We’re making some powerful marketing tools that I can’t wait to use! I created $60,000 of revenue for speaking about the dangers of Alcohol, Drugs and Tobacco to elementary students..at the Health Board after we spoke and you helped me immensely. I am currently working on a new little book for colleges to go after that market by the first of next year. Ive worked with Tamra Richardt on my speaker sheets and website copy. Tamra has been instrumental (and so bubbly to work with!) in helping me create the visual and verbal tools to take my business and brand to the next level. She’s fabulous to have for anyone interested in polishing off the rough edges and creating the “sparkle” needed in effective marketing. Jason L. Ma Founder, CEO & Chief Mentor, ThreeEQ, Inc.
Wow.. Tamra is super efficient, effective and fast! I found it extraordinary working with her! 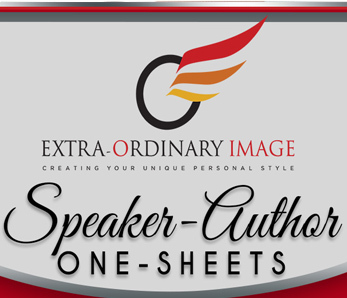 Your input on the creation of my speaker onesheet is so valuable. Thank you. Whether you realize it or not, you inspired and motivated me to finally write the signature speech I have been wanting to write! Thanks for making a huge difference in my life. Tamra is a breath of fresh air. From the very first time I spoke with her, she just “got” me. And all that has evolved as a result of our meetings has been effortless thanks to her clear and precise way of walking me thru, step by step, and with the utmost patience and love. I would say that she does everything with such passion, and with heart that I feel nurtured (if that makes any sense!). She truly cares. With Tamra’s guidance I have been able to get my Bio and my Speaker One Sheet together. And putting together a 20 minute speech was such a breeze that it took me mere minutes to write it, which took her (and me!) by surprise. I believe it is a beautifully written speech and I am so proud of it! I am confident that the Bio and the Speaker One Sheet will make quite an impact as I attempt to connect with the powers that matter in the literary world. These will be posted on my author website www.ranistpucchi.com which is currently under construction. Business Consulting. Marketing Solutions. Measurable Results. Tamra, the speaker one sheet has been very helpful! I got two speaking engagements right away : one in a French education organization and another one in a high school. Also, I will have another speaking engagement this spring in a private English school. I am so APPRECIATIVE of that speaking one sheet and you did a great job helping me create it. I wanted to get back to you and let you know one more how much I appreciate your extraordinary talents and even more, your genuine heart and kindness. I love to listen and watch your mind at work. You are brilliant. I am now proud of and excited to send these one sheets out as they represent an important part of my message. Thank you so much for your help preparing me for creating a One Sheet. I never heard of a One Sheet before talking to you. Now I am inundated with speaking engagements. Just look at my concertpat.com site. I give you credit for so much of the success I have been having. You have helped me so much with your consults. You gave me the confidence that I needed and you motivated me to do more than just doing speaking engagements. You motivated me to write my second book which we titled Promoting You. I appreciate all of your suggestions and am so happy that I have you to fall back on. You told me to prepare a workshop and to become a consultant and a seminar producer and you helped me create a Power Point presentation which I will use to do 3 workshops that you helped me prepare for. Speaking was just one of the things you helped me with. How about the Moses speech you just about did the whole thing for me accepting the Grand Prize Winner of The Great Midwest Book Festival? You’re the one who prepared me for that. I appreciate everything you did to get Hard Days, Hard Nights to #2 on Amazon and I know that with your help, we will get to #1 fairly soon. Thanks so much Tamra, you are one special person. I’m happy to have met you (on the phone anyway). Just had my second telephone session with Tamra Richart to create two speaker one sheetsone for the mainstream market and one for the college market. The sessions have been invaluable. By looking at my website, speaking with me, and finding out more about my speaking interests, Tamra drafted two one sheets for both markets in a matter of minutes. She then sent both drafts to me with (homework)to research and complete. The homework included lining up endorsements, speaker topics and editing the content she drafted. One week later for session two, Tamra previewed my homework and went to work tweaking and fine-tuning my second drafts. I am completely happy with the end results and will send my speaker one sheets to print by next week. Tamras expertise adds so much value to the Quantum Leap Program. I just finished my second consult with Tamra. She is fantastic! She is a word-wizard for a one-sheet for speaking. Her notes from the first and second consults have basically created a finished product that I can have designed. Amazing. I think she is perfect to help us authors with any kind of speaking. She calls it “monetizing” my idea. She quickly understood the parameters of the topic, helped me narrow the focus and then translated that info into a sales pitch. She has the talent, the skills and the empathy needed to be supportive. All in all, she is a fabulous coach! I created an event for Valentine through our speaker one sheet consult, and it went really well. I asked to speak at one of national association of psychology providers and it was accepted. It’s in Texas in March. From the Valentine speaking event, one of the attendee working for USC medical department enjoyed my talk and said she would like me to talk to her staff. She’s working in budget approval now. So all in all, our work together, has gotten me started to build the speaking platform. Thank you again so much for all of your help! In just one week working with Tamra, I had the following results: a new speaking page for my website, two fantastic one-sheets for speaking, and most importantly TWO new speaking gigs lined up within the next month. Tamra gives great actionable advice that produces results! The response from the audiences was, surprisingly, amazing and overwhelming. In one place, one person from the audience bought 5 caricatures for a good money! Likewise, performing ventriloquism and hand shadows was a huge hit. In many places, people were standing line to take pictures with me! I am also pleased to inform you that for the first time, I got a very good speaking fee from one college! I just wanted to write you a quick note to thank you for the work you are doing with me. I can’t tell you how amazed and impressed I was that,—as I was folding laundry, baking bread, and pacing around during our call this morning— you were able to take what I told you about me, my book and my work and come up with an amazing first draft of my speaker one-sheet! I was most amazed that after reading what you created, I ended up feeling inspired about my own mission as well as thinking that I would totally hire me if I saw the one-sheet we are working on! Thank you for sharing your gift! I had a consultation with Tamra this morning to help me with my speech and I loved her! She is such a talented person. What she did in such a short time frame would have taken me days to complete. The script she wrote for me is the very essence why I wrote my book. I flew from San Francisco to Naples FLorida to work with the talented image consultant, Tamra Richardt. She’s an amazing marketing professional who helped me create a wardrobe style, makeup and appropriate colors, and clothing for my body style -that work well with my brand, my company and my message. Tamra is the BEST! Don’ t you dare take a chance with your image! 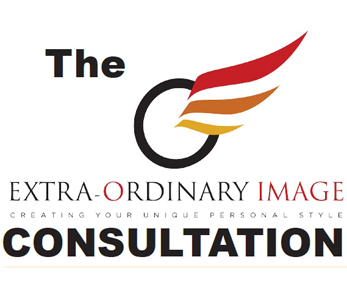 Work with the best image consultant and marketing specialist in the business. I trust Tamra to manage my brand and no one else. Work with Tamra to create Your Extra-Ordinary Image today! A few weeks ago I was my lowest point physically and mentally. I looked like your average overweight, stuck-in-a-rut housewife. My looks affected my attitude, which in turn affected (infected) most people around me! And with our economy, I knew I was in trouble in a professional world where younger, more stylish women could easily be taking over my position, as a court reporter. Along came my chance of a lifetime when, Tamra, turned my frump into fun and brought me up to the new millennium! My makeup, clothing, my style and attitude were transformed in one glorious day! It is a pleasure now to put on makeup and clothing that accent my face and body instead of adding on pounds. I can’t think of a better way to enhance your business, or your bottom line than to hire Tamra. Thanks for putting me back in the game, Tamra! Few people have the ability to command an entire room the moment they enter. I experienced that when I first met THE most dynamic woman. Her name is Tamra Richardt. I witnessed how she could draw everyone to her without saying a word. I’m 6’1” without heels, a professional singer and usually in some type of evening gown. But, you can’t wear a cocktail dress to Costco! And when meeting potential employers, I was at a loss as to a chic, professional daywear wardrobe. When I’m not at a singing job, I go pretty causal. I tried to keep up with styles from all the fashion magazines. After all, I was a former beauty queen – complete with the 2 decade old, big hair to prove it. I introduced myself to Tamra and told her how much I admired her. I silently prayed this conversation wouldn’t leave me feeling condescended and humiliated like I did so many times from all those catty pageant girls. Tamra couldn’t have been nicer! She was gracious, genuine and willing to help me! I can honestly say that Tamra Richardt has an extra-ordinary gift!!!! Her sense of style is amazing! One sees it in her personality, wardrobe, make-up, home, music, professionalism and faith. Tamra has become a dear friend, mentor and truly brings out the best in everyone she meets! She really knows what she’s doing, and I completely trust her opinion. I’m SO fortunate to have had this fantastic “make- over.” It’s been a long time since I’ve felt this good about myself. Thank you So much Tamra for your time and careful thought to my uniqueness, and inseam. Maybe I should look into “Miss Florida Forty-Something or other”? Tamra, I’m SO glad you took me on! You are EXTRORDINARY! I have a successful company that I’ve run for many years in Cincinnati Ohio. I’ve always felt like I was at the top of my game, the top 5% of the world. But, I realized I needed a boost in the area of my image. I needed help with both my casual presentation, and my professional image. Tamra Richardt changes lives! This is a woman that you would definitely want to hire, like I have, to enhance your personae, your image and to take your personal life to another level. It’s fabulous! I like it up here! Tamra Richardt has a special gift to see the visual changes that can not only improve self-confidence, but can take your business to the next level. In this busy, competitive society, Tamra helps you cut through the clutter and shine, both personally and professionally. If you’re serious about seeing your life and business skyrocket to the next level you should hire this talented woman. I’m Bill Barnett, and I’m a full-time administrator in a large company in Southwest Florida. I would like to say that Tamra Richardt has created a personal and exciting image for me- one that I’ve been looking for and needing for a long time. Most designers have a “cookie cutter” plan for providing an image for their clients. But, Tamra provides a personal, tailor made touch, because she gets to know her clients. She understands them from the inside out. This enables her to help her clients to build a personal image and which in turn, enhances their business endeavors. I couldn’t be happier to have hired Tamra Richardt! Tamra Richardt s a breath of fresh air. From the very first time I spoke with her, she just “got” me. And all that has evolved as a result of our meetings has been effortless thanks to her clear and precise way of walking me thru, step by step, and with the utmost patience and love. I would say that she does everything with such passion, and with heart that I feel nurtured (if that makes any sense!). She truly cares. With Tamra’ Richardt’s guidance I have been able to get my Bio and my Speaker One Sheet together. And putting together a 20 minute speech was such a breeze that it took me mere minutes to write it, which took her (and me!) by surprise. I believe it is a beautifully written speech and I am so proud of it! After all your advice, I am really pleased with my website. It looks clean and professional and all the text (a great deal of it directly from you) is clear and, again, professional. Thank you so much for your truly valuable input.